The UDRP was launched in 1999. The first case resolved under it by WIPO was World Wrestling Federation Entertainment, Inc v. Michael Bosman, involving the domain name . In 2018 the World Intellectual Property Organization (WIPO) signed an Agreement (for an indefinite period of time) with the Administrator of the public domain .UA, Hostmaster Ltd. regarding the provision of domain name dispute resolution services for domain names in the CCTLD .UA (Ukraine). According to the provisions of the said Agreement, Hostmaster Ltd. must adopt special .UA Domain Name Dispute Resolution Policy (the .UA Policy), which will be a variation of UDRP, for resolving domain names disputes in the country code top-level domain (ccTLD) .UA. Hostmaster should also adopt the Rules for UA Domain Name Dispute Resolution Policy (the .UA Rules). According to the said Agreement, Hostmaster should publish the .UA Policy, the .UA Rules and Supplemental Rules in the ccTLD .UA on its website no later than 19 March, 2019. It should be noted that different variations of Domain Name Dispute Resolution Policies are adopted by China, Estonia, Hong Kong, Japan. Denmark, Malaysia, Singapore. 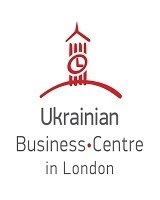 There are currently close to 22,000 registered domain names in the .UA zone in Ukraine. By comparison, in the COM.UA zone there are nearly 305,000 registered domain names. It is no exaggeration to say that approval of variation of UDRP by the Ukrainian Administrator of domain .UA (in spite of it applying only to .UA domain, not .COM.UA and others domains) is an essential first step for our country in the field of approval of non-judicial proceedings. It is a very good beginning for Ukraine also in view of the fact that domain name disputes in Ukraine are considered by courts only which, in turn, results in the spending of time and money. The majority of domain name disputes in Ukraine arise from infringement of trademark rights. That is, from the illegal use of a trademark in the domain name. Trademark owners in Ukraine are now actually interested in a fast and effective procedure that can enable them to halt the infringement of their rights. 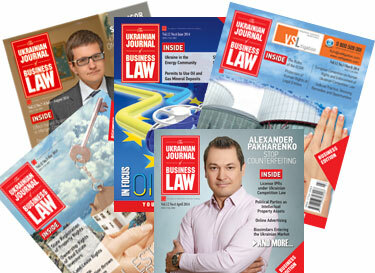 By applying UDRP all disputes arising from illegal registrations of domain names in the .UA zone (for example, cybersquatting) in Ukraine can now be addressed by expedited administrative proceedings which the trademark owner initiates by filing a complaint with the WIPO Arbitration and Mediation Center. The WIPO Arbitration and Mediation Center will be the sole provider with respect to administration of domain name disputes in the ccTLD .UA filed pursuant to .UA Policy, .UA Rules and the Supplemental Rules. At present, the WIPO Center provides domain names dispute resolution services to 76 ccTLDs. More to the point, the .UA Registrars should perform all the tasks imposed on them as the registrars pursuant to .UA Policy, .UA Rules, including providing relevant information about a disputed domain name requested by the WIPO Center (such as the name and full contact details of a registrant, expiry date, language of registration agreement and others), applying a lock of a disputed domain name and implementing a decision under the .UA Policy. By comparison trademark owners must now, for the purpose of obtaining the name and contact details of the registrants of abusive domain name, ask the court (after the filing of complaint) to request Registrars to present to the court information regarding the registrant’s person and his/her full contact details. Accordingly, the trademark owner does not have any other means for obtaining information with respect to the registrant. In view of the foregoing it is obvious that the obligations of the Ukrainian registrars described above must definitely relieve the process of cancellation (or transfer) of abusive domain names in the .UA zone. One more great virtue of administrative proceedings under .UA Policy will undoubtedly be that the complainants do not need to request any injunctions (as was required in court proceedings) — the registrars will be bound to apply a “lock” on the disputable domain name. According to UDRP Rules “Lock” means a set of measures that a registrar applies to a domain name, which prevents at a minimum any modification to the registrant and registrar information by the Respondent, but does not affect the resolution of the domain name or renewal of the domain name. Applying such a lock should be confirmed by the Registrars within two business days of receipt of the WIPO Center’s verification request. We can assume that the same procedure will be in effect for Ukraine too. 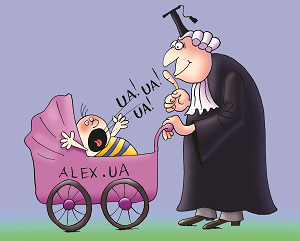 However, it’s worth noting that pursuant to the provisions of currently valid Policy on the particulars of registration of second-level private domain names in the .UA domain (since 2014) “second-level private domain names in the .UA domain shall be delegated exclusively on condition that the domain name in question completely and the spelling of its second-level component (before the “.” character excluding such character) coincides with the Mark, where the rights of use of such Mark in Ukraine are held by the relevant registrant”. In other words, nobody can get a domain name in the .UA domain without the certificate for trademark. 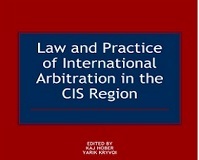 In this situation the author assumes that the abovementioned alternative procedure for resolving domain name disputes in accordance with .UA Policy will be applied in most cases to the domain name disputes on the basis of trademark disputes. According to the procedure for resolving domain name disputes by the WIPO Center, the complainant should pay a fee for the proceeding. For proceedings with respect to the generic top level domains (.net, .com, .org, .edu, .gov) and for the majority of country code top-level domains there is a uniform schedule of fees: USD 1,500 for a single member panel (1-5 domain names) and USD 2,000 (6-10 domain names); USD 4,000 for a panel of three members (1-5 domain names) and USD 5,000 (6-10 domain names). However, some countries (which adopted variations of UDRP) established the fees, which differ from the uniform schedule. For example, in Australia for the single member panel the complainant must pay AUD 2,000 for 1-5 domain names and AUD 2,700 for 6-10 domain names and for the three member panel — AUD 4,500 and AUD 5,700, respectively. In Estonia there is a fee of EUR 1,400 for 1-5 domain names and EUR 2,000 for 6-10 domain names. The question regarding which fee for resolving .UA domain name disputes can be set by Ukraine, remains open: anyway, it must be a reasonable price for a complainant who is interested in initiating an administrative proceeding at the WIPO Center. It can be assumed that the procedure for resolving .UA domain names disputes will be almost the same as the procedure for resolving of all domain names by a WIPO Center, probably with some specific amendments. According to the procedure set by the WIPO Center, all documents and materials are filed electronically and the parties can use the special online platform WIPO Electronic Case Facility (WIPO ECAF), which is accessible through the official WIPO website www.wipo.int and allows for secure filing, storing and retrieval of case-related submissions in an electronic docket, by parties, neutral(s) and the Center, from anywhere in the world. Ukraine will definitely be connected to this platform too. What is interesting is that there are usually no in-person hearings (including hearings by teleconference, videoconference, and web conference) during administrative proceedings by the WIPO Center, unless the Administrative Panel determines, only as an exceptional matter, that a hearing is necessary in order for it to adopt a decision. The WIPO Center’s administrative procedure regarding domain names disputes should normally be completed within 60 days of the date the WIPO Center receives the Complaint, including the adoption of a decision by the Panelist (Arbitrator). In our opinion, the same time limits will probably be applied to the administrative procedure regarding .UA domain name disputes. As to the possible languages of administrative proceedings for the .UA domain, it can be supposed that the English, Ukrainian (and possibly Russian) languages will be there. According to Paragraph 11 of the UDRP Rules, unless the parties to an administrative proceeding agree otherwise, or the Registration Agreement that relates to the domain name in question specifies otherwise, the language of the administrative proceeding will normally be the language of the relevant Registration Agreement. The Administrative Panel, however, does have the discretion to designate a different language, taking into consideration the circumstances of administrative proceedings (e.g., nationality of parties, language of documentation). With respect to the Panelists (Arbitrators) who will decide .UA domain names disputes, they will be appropriately qualified persons, the list of which will also be available on the official WIPO website. For example, the Panelists who decide domain names disputes with respect to generic top level domains (.net, .com, .org, .edu, .gov, etc.) are from different regions of the world and possess good reputations for their impartiality, sound judgement and experience as decision-makers, as well as their substantive experience in the areas of intellectual property law, electronic commerce and the Internet. The list of Panelists and each Panelist’s professional profile are available on the WIPO website. Regarding the decision that can be adopted by the Panelists, it is important to note that under the UDRP the Panelists can only decide either to transfer or cancel the domain name(s), or deny the complaint, and it is not possible for the panel to make any monetary judgments. In general it should be pointed out that the procedure under the variation of the UDRP, which must be adopted by Hostmaster for domain name disputes in the ccTLD .UA, should not in any way constitute a bar on the possibility to further transfer a domain name dispute to a court(s). Having considered all the advantages by adopting a variation of UDRPm which will be launched with respect of a .UA domain, it should be concluded that this is undoubtedly the first positive step for the alternative dispute resolution procedure for Ukraine. It should also be hoped that the same administrative proceedings with respect to .UA domain names disputes will also be launched for .COM.UA (which has the majority of registered Ukrainian domain names), .KIEV.UA, .IN.UA and others and with respect to which there is no requirement for having the proper trademark registration certificate. In these domains there are plenty of disputes in Ukraine, in which case some sort of above variation of UDRP (for the .UA domain) would be the most interesting for use by complainants (trademark owners).